Pleasant Goat and Big Big Wolf, or 喜羊羊与灰太狼, is probably the most successful cartoon to ever come out from China. But to be honest, I hadn't even the vaguest idea about them initially. Luckily though, I can always count on the boys to impart certain knowledge to me. Either that, or Google. To cut the long story short, Pleasant Goat and his friends live on the Green-Green Grassland (青青草原) and are inevitably hunted by a clumsy wolf who wants to - what else - eat them. A simple enough premise, which has managed to last over 500 episodes and counting. The fact that Disney has acquired the licence to broadcast the popular children show on their Disney Channels speaks volumes about its popularity I guess. As for Ash and Ayd, this is the ONLY Mandarin cartoon that they watch and they really enjoy it. 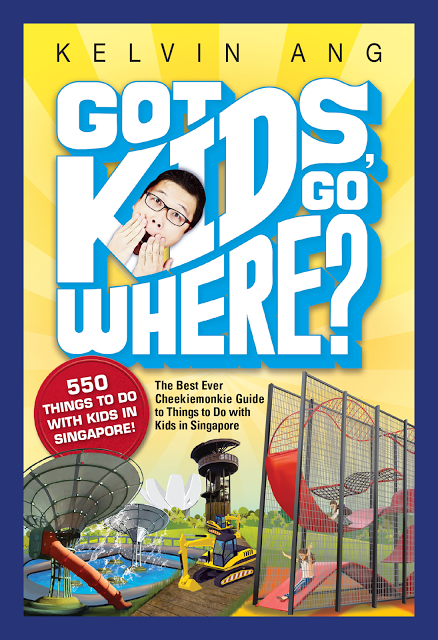 So when they got wind that it is coming 'live' on stage at Resorts World Sentosa, they were undoubtedly excited to catch the musical. Hmmm, I don't exactly know what exactly distracted both Ash and Ale... perhaps it was the large amount of 喜羊羊与灰太狼 merchandise on sale. Or maybe they just simply couldn't wait for the show to begin. The big bad wolf couple Wolffy and Wolnie are obsessed with capturing the Goats. However their best laid plans are always thwarted by the smart, young goat, 喜羊羊, Weslie. This time around, Wolffy invites their new friend, the ‘Memory Thief’ to cause Weslie to lose his memory momentarily and Weslie ends up helping the evil wolf couple catch his goat friends instead! Goat Village is at stake. Can the other goats rally themselves up to defeat Wolffy? The one thing that I liked was that the show was highly interactive, with loads of high tempo songs and kids in the audience being encouraged to stand up and boogie along. Why, we even got to a hand in helping Pleasant Goat defeat the baddies by virtue of a flashy reflective piece of cardboard. But most important of all, this show marked the first time that the monkies had set through an entire show in Mandarin... and they didn't complain. So that was quite the achievement in itself. Overall, the storyline was a tad flimsy but I reckon the kids in the audience were too busy dancing to the songs to notice that. 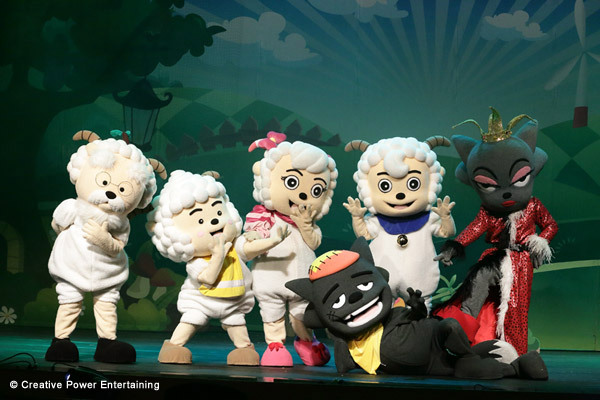 If you are looking for fun ways to introduce Mandarin to your kids, the live stage show of Pleasant Goat and Big Big Wolf would count as one of those. But hurry though, the show ends its run on 30 June 2013... plus there is a 10% discount for purchase of 4 tickets and above. Details are in the poster below.